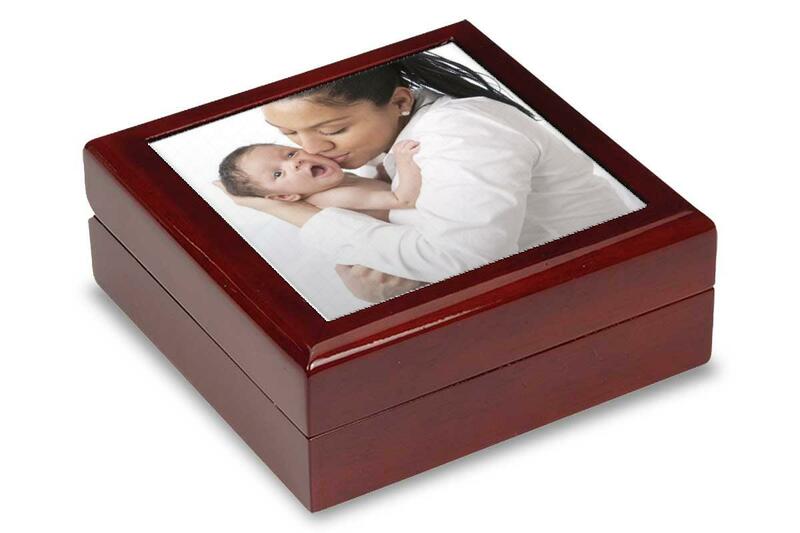 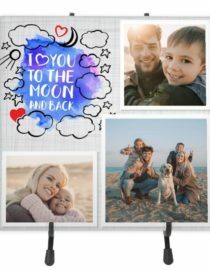 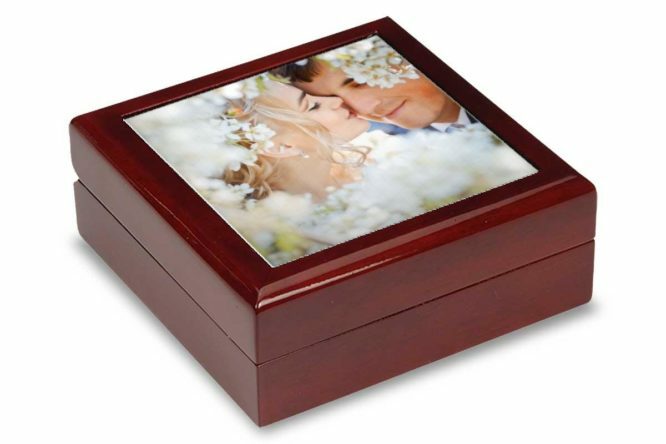 This cherry-finish photo keepsake box showcases your favorite image on a glossy photo tile while providing a safe, padded interior for your favorite mementos. A custom-designed, personalized photo keepsake box from PixyPics is the perfect way to commemorate any special occasion. 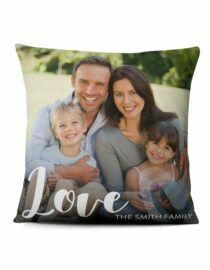 Make it a unique gift by choosing a wedding photo for the newlyweds, or a baby photo for the new parents. 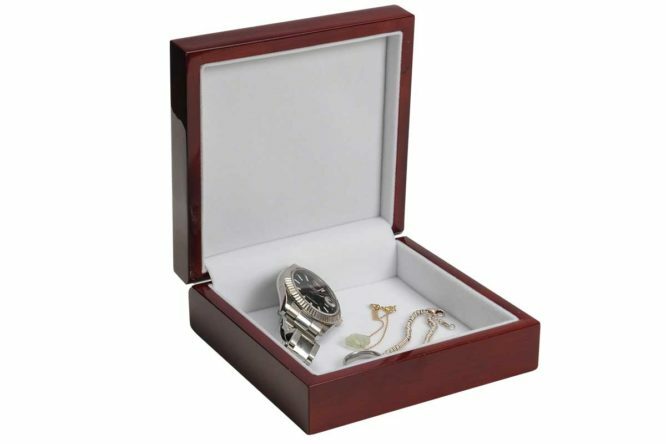 Box measures 2.1875″ x 5.5″ x 5.5″.